After coming down with a rare neurological disease, Uncle Bob gave My Aged Care a call. 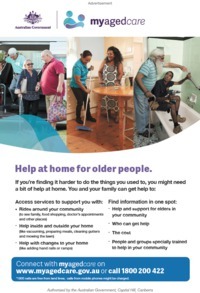 Through My Aged Care Aunty Shirley arranged for an Aboriginal aged care service to provide her with help at home. 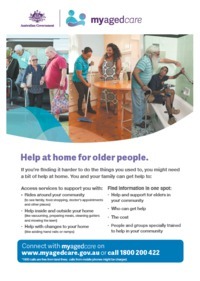 Hear real stories from people using My Aged Care. Last reviewed: 30 January, 2019.